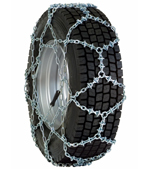 Commercial vehicle snow chains designed and build for Coaches & Trucks! 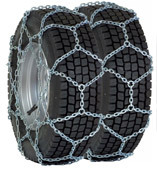 The Transport T is the universal commercial vehicle snow chain for trucks and coaches that will give maximum effectiveness on snow covered roads. As well as being particularly easy to fit, the Transport T's construction guarantees near silent driving and excellent road holding. Weissenfels Transport T range is available in many sizes ranging from Transit type vehicles & Land Rover sizes to the largest coaches and trucks. 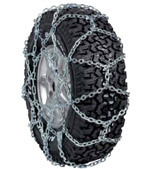 The Transport XT high strength version offers the ultimate design of commercial vehicle snow chains. Transport XT models are constructed using high grade components incorporating additional specially welded 'grip links', which not only provide added increased traction in tough icy and snow conditions, but also longer chain life. The outer side chains are fully welded making them ideal for prolonged and arduous tasks. Transport T & XT versions are also available in twin wheel versions. Especially suitable for demanding conditions and forestry applications. 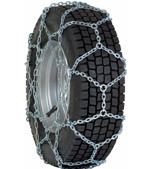 The A15 is the ideal low cost commercial vehicle snow chain. It is simple and straightforward to use, whatever the conditions. Because of its straightforward ladder type construction it is not designed to give sidewaysl stability but more than makes up for this in its excellent forward and reverse traction capabilities. The Konig Professional HT range of commercial vehicle snow chains covers the most complete list of tyre chain applications for vans, trucks and coaches. Whatever the size of tyre, the chances are that there is a Konig Professional HT snow chain to fit. 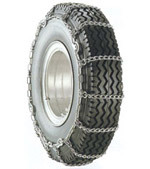 The Konig Professional range of commercial vehicle snow chains covers the most complete list of tyre chain applications for vans, trucks and coaches. 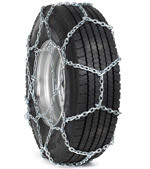 Whatever the size of tyre, the chances are that there is a Konig Professional snow chain to fit. The Konig Professional Plus range of snow chains snow chains includes reinforced links for maximum grip and strength on snow and ice. When the conditions are tough there is nothing better than Konig Professional Plus.